Quick note: Your LSAT score is one of the most important factors in law school admissions, so be sure to give yourself sufficient time to study. 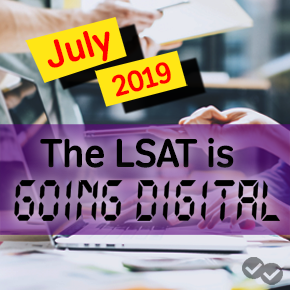 If you don’t have enough time to dedicate to studying over the next eight weeks, you may want to consider signing up for a later administration of the LSAT. If you do have the time to prepare over the next two months, the following two-month LSAT study schedule will help you get the most out of your studying. The schedule is laid out for you week by week and includes primary goals and a game plan for each week. The game plan sets out which Magoosh lessons to watch, the estimated time it will take to complete each lesson, and when to take practice exams and do practice problems. If you’re a Magoosh premium student, remember that you can contact our tutors with questions any time. They’re always ready to help, so don’t hesitate to reach out. LSAT Prep Book. I’d recommend getting a copy of one of the official LSAC books to take full-length practice tests. Magoosh’s free Study Timer app for iPhone/iPad for timing yourself on exam sections and keeping yourself on pace (currently only available in iTunes). Watch the Scoring and Goal Setting Lesson after your diagnostic exam to get a better understanding of your score. If you haven’t already, to set a goal score. Then, score your exam to determine your strongest and weakest areas. Start reviewing your Magoosh flashcards. In particular, review the LSAT Basics and If-Then Statements cards. These will help set the foundation for your studying. Review Magoosh flashcards for 30 minutes a day for at least four days. Complete practice problems for every section, placing special emphasis on your weaker area(s). On at least four days this week, complete at least two sections from the Magoosh practice problems—and always include one from your weakest area. Study your Magoosh flashcards at least 30 minutes a day! Keep reviewing the if-then statement cards. If-then reasoning is key to Logical Reasoning and to Logic Games, which means it’s essential to improving your LSAT score. Also, add in the Transitional Language cards this week. These cards will help you on both Reading Comprehension and Logical Reasoning. Complete practice problems for every section and take the time to review all of your answers. Try to complete at least two, timed sections from the Magoosh practice problems on a few days this week,and always include questions from your weakest area. Study your Magoosh flashcards at least 30 minutes a day! Learn Magoosh pacing strategies by reading Intro to LSAT Pacing and watching the Pacing Strategy lessons for Logic Games and Logical Reasoning. You’ve got the essential approaches down for each section, so you’ve got to work on your speed now to earn more points on each section. The Magoosh pacing strategies will help you feel confident moving at a faster speed through problem sets. You’re halfway through with your LSAT study plan. You should have mastered the basic Magoosh-recommended strategies at this point and taken two full-length practice tests. Your second month of studying is going to focus on improving your speed and accuracy so you can rock the LSAT in four weeks! 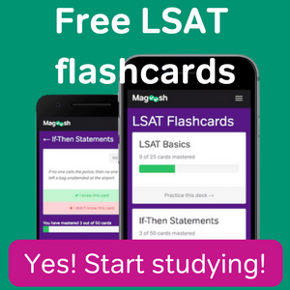 With the right materials, the Magoosh lessons and strategies, dedicated study time, and hard work, you can study successfully for the LSAT in two months. Follow this two month LSAT study schedule as outlined, and by test day, you’ll be ready to crush the LSAT. And remember, if you’re a Magoosh premium student, you can contact our tutors with questions anytime. They’re always ready to help, so take advantage of their knowledge! From all of us here at Magoosh, good luck!